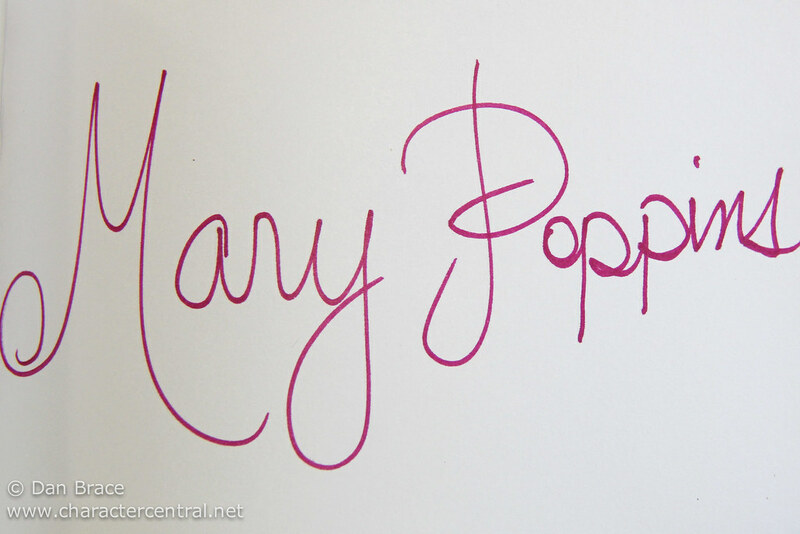 Very little is known about the magical nanny Mary Poppins, but what we do know is that she is actually a good fairy who comes to the houses of those children who need a bit of structure in their lives. 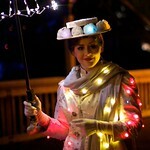 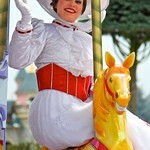 She can sing, fly and transport herself and others to fantastical realms filled with dancing penguins and carousels. 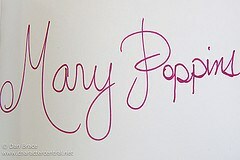 Everybody knows Mary Poppins, and everybody loves her. Filled with wit and charm, and a good heart, Mary Poppins is practically perfect in every way. 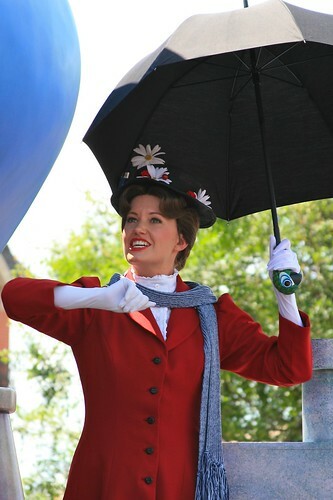 Step in Time with Mary Poppins, Main Street, U.S.A. 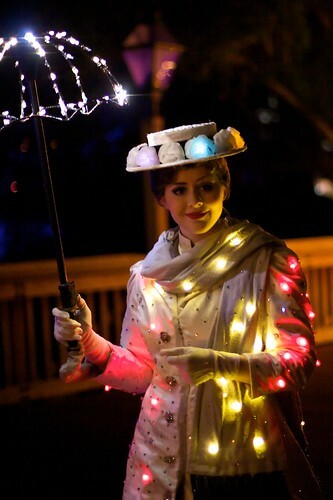 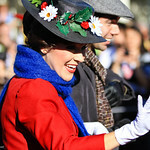 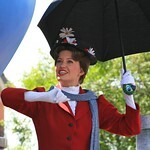 In Walt Disney World's Magic Kingdom Mary Poppins can be nearly always be met in Liberty Square, or in the United Kingdom at EPCOT. 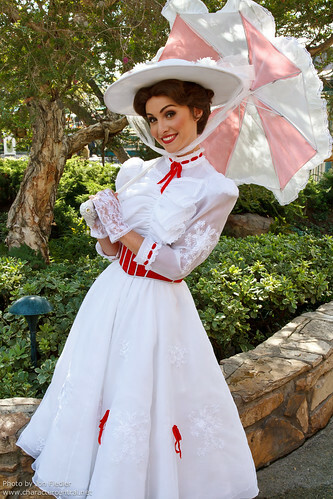 At Disneyland Mary can normally be found on Main Street, including at Refreshment Corner. 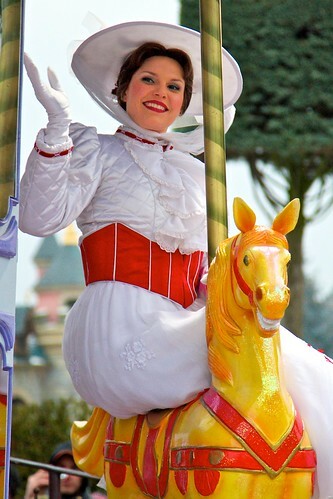 In Disneyland Paris, Mary can be regularly be met either in Town Square or in Fantasyland. 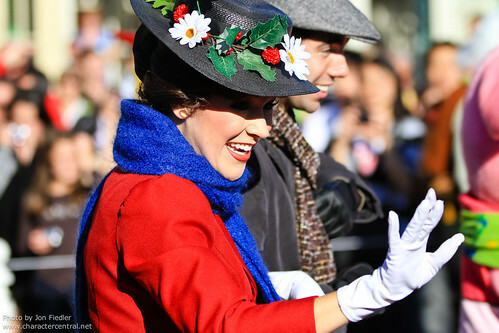 She also makes appearances in Production Courtyard at the Walt Disney Studios. 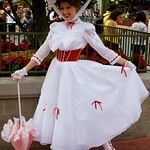 At Tokyo Disneyland she appears in Fantasyland often. 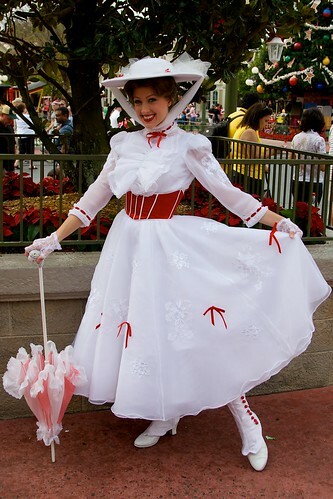 She does not currently meet in HKDL or on DCL.